Take part in some living history when the farrier comes to shoe the horses. 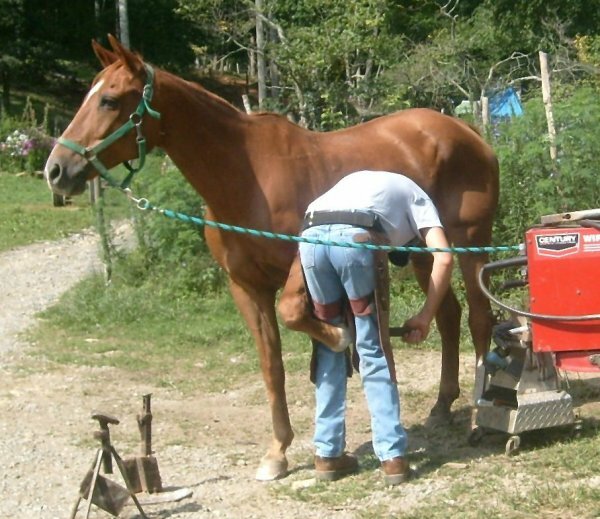 You’ll learn how horses have been shod for thousands of years–trimming their hooves like giant fingernails, shaping the shoes on an anvil, nailing them on, and all sorts of horsey trivia. You’ll probably hear some great stories too, and you might get to take home a Randall Glen lucky horseshoe!